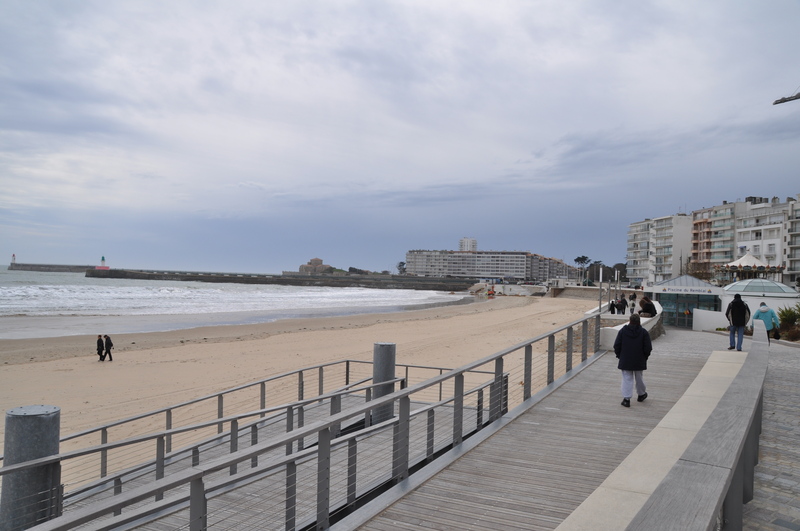 Les Sables D’Olonne – Here we Are! 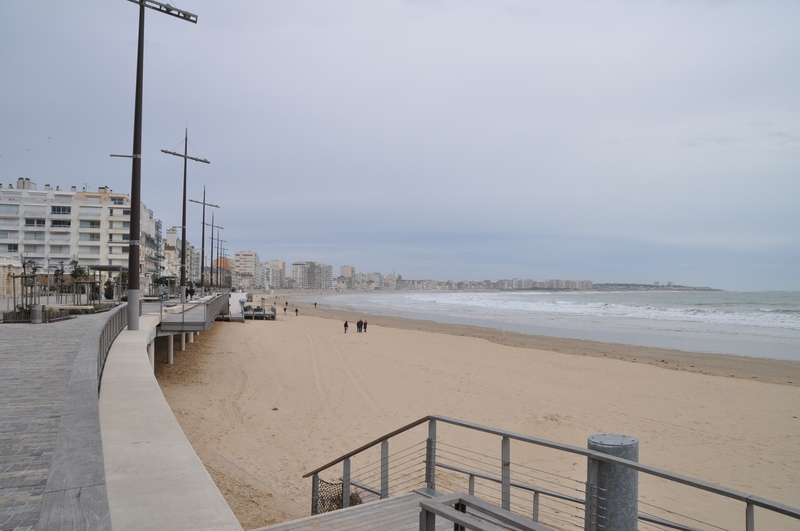 With three marvellous days in Paris under our belts, we braved the motorways of France and drove our hire car to Les Sables D’Olonne, 5 hours away. Our hire car was a Renault Scenic, not too bad despite having the steering wheel on the wrong side – the manual was also a bit of a challenge with everything round the other way. 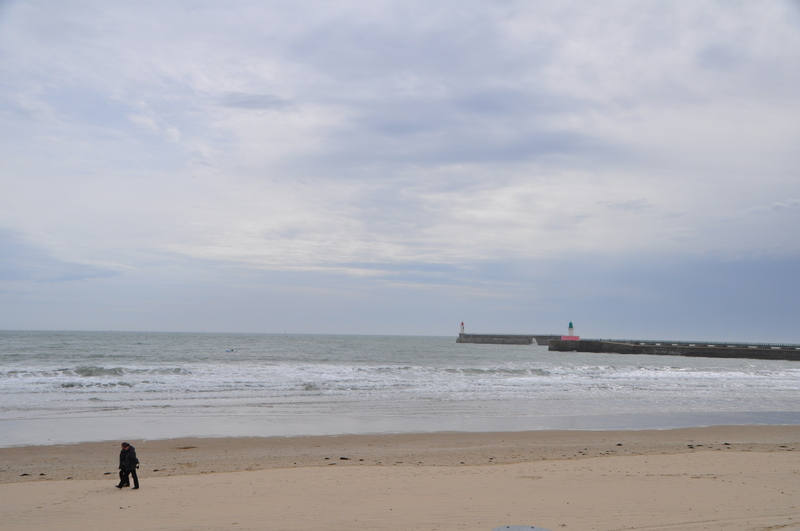 It was a lovely drive through the French countryside to the coast. We quickly checked into our room and saw a message from Leanne that La Mischief had just been put in the water. Missed its launch by an hour or so – bummer. But it was great to see her in the flesh. We hopped on board and had a quick look round as there were workers crawling all over it. 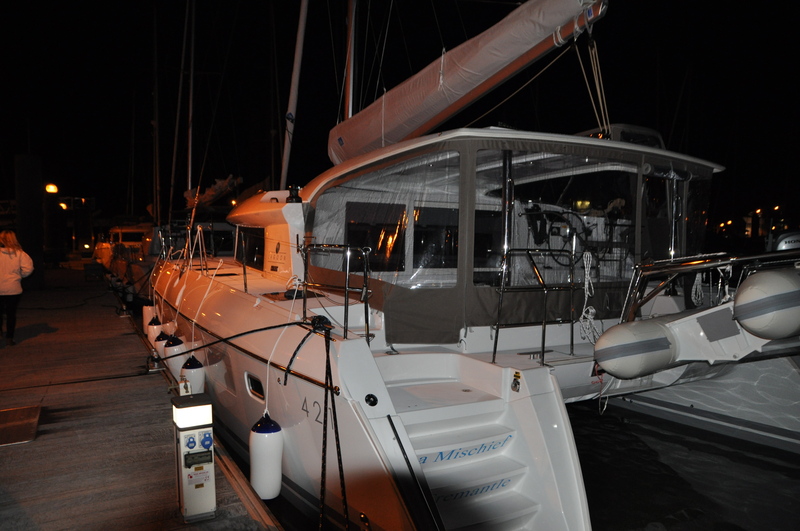 Then we went and had a drink or three on Ooroo 1 – Mike and Leanne’s new Lagoon 450. 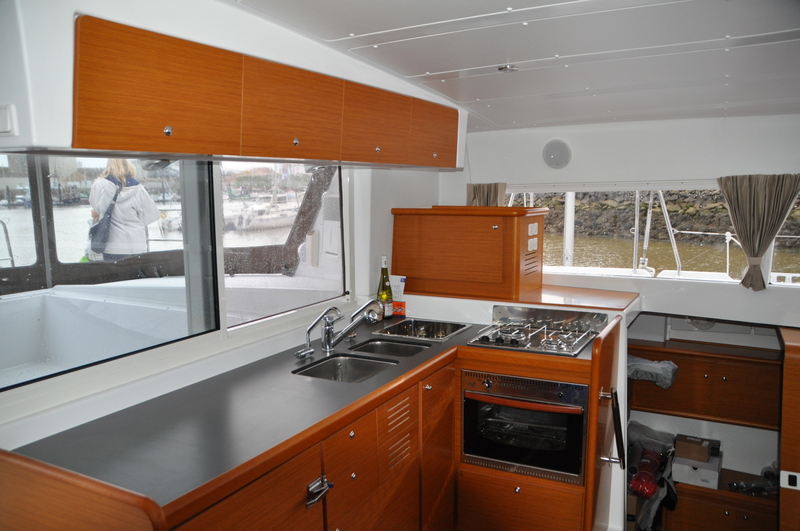 How weird is that – two couples from Perth getting new Lagoon’s parked up in France, one behind the other. 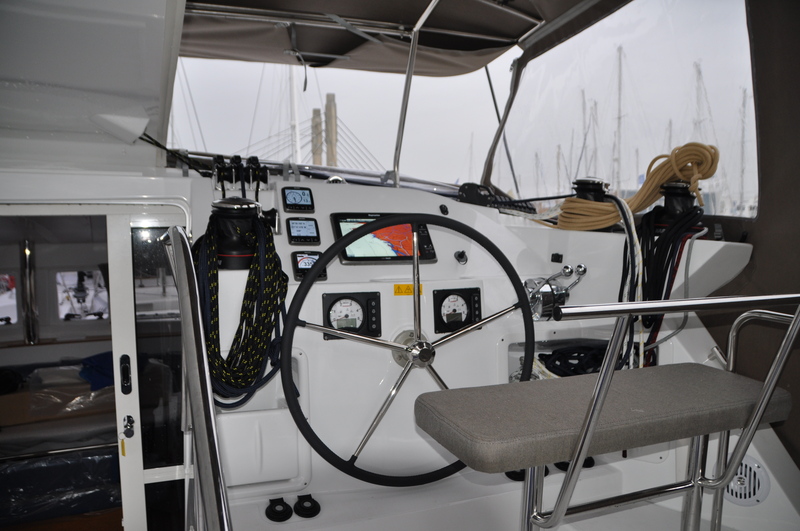 This entry was posted in Launching and Preparation and tagged Les Sables D'Olonne by stull61. Bookmark the permalink. The new adventure begins, look forward to following your travels.